So, you’re locked out and it’s about two thirty in the morning. Perfect. 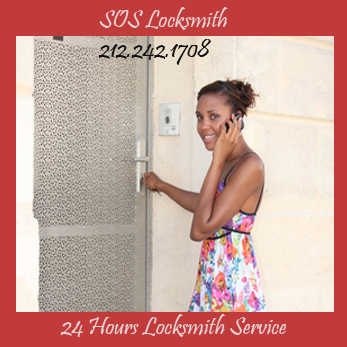 Just before frustration roots and sets, Google “locksmith NYC” on your phone and discover SOS Locksmith NYC. Our Locksmith offers a mighty convenient and fairly priced 24 hour emergency lock out service. So if you’re locked out, don’t fret. This service is perfect in the clutch when you are stuck outside of your house, safe, or office at an indecent hour. Even if you need a lock repair, safe repair, lock replacement, door hardware repair, or intercom installment or repair, SOS Locksmith NYC will be there in no time to help you out of your jam. Getting locked out is such a common situation here in New York, that we thought you should know a bit more about the entire emergency lock out process and the best locksmith company in New York City to get you back inside. Hopefully, the more you know the less stressed out you feel when something goes wrong and you’re locked out. 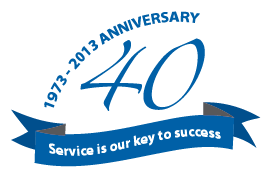 The SOS Locksmith NYC only employs the most qualified door service technicians and professional locksmiths. Thorough background checks are performed for all employees to ensure the trustworthy standards they’ve created. Also, some institutional education is a necessary prerequisite. All technicians and servicemen are insured and licensed; there are too many unprofessional, unlicensed, uncertified, even untrained ‘locksmiths’ out there, SOS Locksmith NYC doesn’t want to add to the number of scams that are already all too apparent in the industry. There are plenty of testimonials validating the honest and noteworthy policies of the SOS Locksmith team. An overwhelming majority of reviews have said the prices are fair and the service is great; they’re punctual, friendly, and professional. They are a family run business who has operated in the same location for over 30 years, their background alone is self-validating. Firstly and quite obviously, the locked out client must call SOS Locksmith NYC. Someone will answer, you explain the lockout situation, and they’ll quote you an accurate price, ask your location and dispatch a serviceman. The SOS Locksmith NYC shop is located in the heart of Chelsea between 21st and 22nd street on 7th avenue; if you’re local they will be there well within 30 minutes, and if not they will be there as soon as traffic allows. Once the locksmith arrives he gets right to work with a lock pick and tension wrench for standard pin tumbler locks, or for more advanced locking systems other lock picking methods are applied. I’ve often wondered if locksmith’s break into your locks the same as a thief would; do they pick your locks? Well yes, the process is fundamentally the same; however, professional locksmiths are just that, professional, and they tend not to break or damage your locks in the procedure. Before you know it, you’ll have access once again. For most simple lockouts, the process takes no more than 5 minutes, and a lock change, about 10 minutes. As stated, an estimate of the cost will be quoted to you over the phone when you first call SOS Locksmith; nine times out of ten, unless there is some serious miscommunication from all parties, the price you pay will be the quoted price. They accept both cash and credit cards, so if you can’t run over to an ATM, just hand your card to the technician, he or she will run it, and your tender is paid. Being locked out doesn’t have to be so exasperating, it can just as easily be a very simple and stress-free process. You just need to know what to do and what locksmith to trust. SOS Locksmith NYC has been in business since 1973 for a reason, and that’s because of their honest, reliable service when you’re in a tight spot.